Established in 1965, Red Dragon Retreading Ltd are very experienced and knowledgeable car tyre dealers located in Bridgend, South Wales. A family run company, we are small and friendly and deal with all types of tyres. We are specialists in supplying and repairing car tyres but also deal with truck tyres as well. 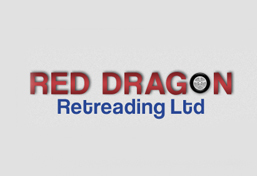 Why choose Red Dragon Retreading Ltd? Associated with Bridgestone and Bandag tyres. We are members of the franchises Bandag and Bridgestone. Today the need to reduce tyre management cost is vital to any company operating transport. For 40 years TTS has established a reputation for providing a remould service tailored to meet the customer’s requirements, offering product ranges in premium remould and procure ranges gives a comprehensive range of tread patterns to suit all relevant operations. All products are manufactured using high grade rubber compounds, which are continually being developed and improved to provide tyres, which customers have proved, will equal or even outperform new tyres. TTS specialise in providing a guaranteed Customer Own Casing (COC) service to users. This is ideal for fleets who, wish to maximise the use of their own casings. We are able to return the processed tyre with the original serial number and customer name embossed on the sidewall. A regular collection and delivery service is made to the distributor and fleet user. At the point of collection, a detailed record is made of all casings. This is the start of the TTS casing management system, which has been developed over many years to meet individual customer requirements. In addition to the COC service, a full range of stock remoulds and retreads are held at the factory to supplement both distributor and user requirements. 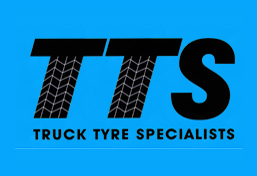 The TTS sales representatives have many years of experience in the truck tyre industry. They have a wealth of knowledge and are able to advise on the most cost effective use of your casings and recommend the most suitable tread patterns for your operation. They will liaise with your distributor on collection and delivery of casings and even bring you to the factory to witness the processing of your tyres. The Adco Brand began manufacturing retread tyres in 1956, primarily passenger tyres at first, using the Kentred hot cure process. In 1980 Adco changed production to pre-cured truck tyre retreads using the Kenprest system, and in 1983 switching solely to pre-cured retreading. 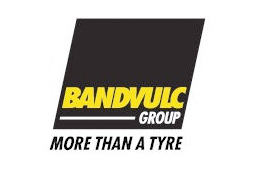 The Bandag System was introduced in 2013, and has been adopted as our Premium Retread Process. RMA (Retread Manufacturers Association) in 1989. 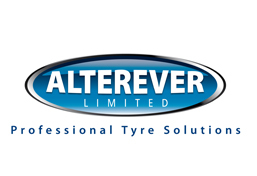 Alterever is a privately owned independent retreading company supplying a vast range of tyre solutions to a wide range of customers. The business was originally founded in 1974 and greatly values the importance of its relationship with customers, suppliers and staff. We strive to ensure the very best in quality, service and commitment. Our long-standing customer base demonstrates this and a large portion of our customers have been with us for many years. We are based in Gilberdyke East Yorkshire with easy access to all major motorway networks, towns and cities. At Alterever your company is in safe hands keeping you on the move and offering you peace of mind. Our product range has been specially selected to offer the very best in safety, quality and of course excellent value to our customers. Caledonian Tyres Limited are a dynamic and results driven business. We have a very successful and productive team who meet all targets set. We provide a top of the market Bandag retread product for Commercial Vehicles, coupled with repairs for commercial and agricultural tyres. We also provide a total tyre solutions programme which entails, collecting, manufacturing and logging of casings via an international database. For more information on our products please feel free to get in touch. We have a proven track record for providing a first class service. Our mission is to provide the best quality, product and service using the most modern technology available in the most environmentally sustainable way. To achieve the above in a changing market where pence per kilometre is continually being reduced. To meet this challenge with continued technical advancement, cost saving projects and continual lean engineering in everything we do. To work with all the company’s workforce for a safe, efficient and environmentally sustainable workplace. Invicta Retreads Limited is an active company incorporated on 12 June 2003 with the registered office located in Kent. Invicta Retreads Limited has been running for 13 Years 8 Months. There are currently 2 active directors and 1 active secretaries according to the latest annual return submitted on 12 June 2016. PB Tyres UK LLP is a family run business established over 40 years ago originally specialising in buying and selling truck tyre casings in the U.K. Over the years PB Tyres has grown significantly and now deals in casings on a worldwide scale. We are regular exhibitors at the Reifen Tyre Show in Essen, Germany as a portal to the European market. PB Tyres are located in Milton Keynes, Buckinghamshire, just near the M1 motorway. Our central location means we are within easy reach of most of the major UK airports Heathrow, Birmingham, Luton and Stansted. Our premises cover over 12,000 square metres at which we hold in excess of 10,000 part worn and used casings. As part of our ongoing process of development, PB Tyres regularly add to and improve our services offered to our customers to accommodate an ever changing market and provide a wide range of services to the tyre industry. The truck casing collection service we offer is used by a large number of important waste management companies, leading truck tyre distributors and large independent haulage companies. Over the years PB Tyres have established partnerships with most major manufacturers including Michelin, Continental and Bridgestone.